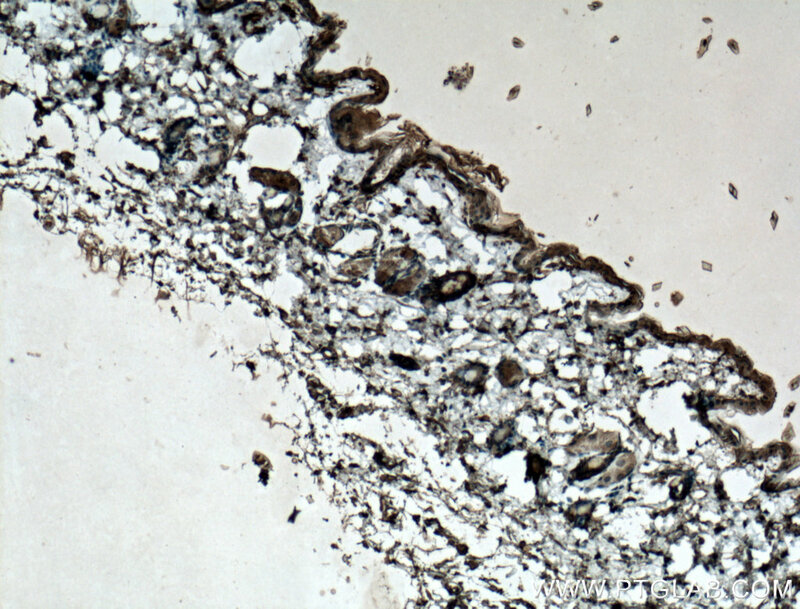 Immunohistochemistry of paraffin-embedded mouse skin tissue slide using 66239-1-Ig( ADIPOQ antibody) at dilution of 1:200 (under 10x lens) heat mediated antigen retrieved with Tris-EDTA buffer(pH9). 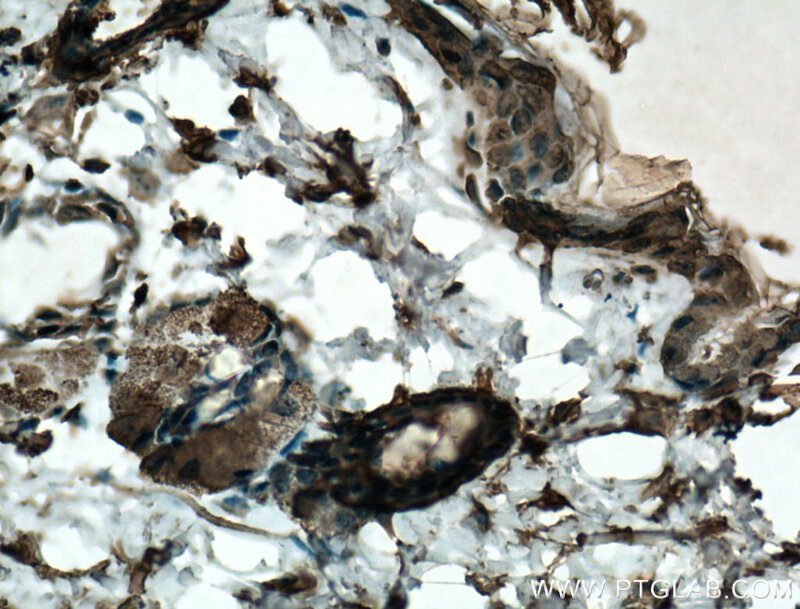 Immunohistochemistry of paraffin-embedded mouse skin tissue slide using 66239-1-Ig( ADIPOQ antibody) at dilution of 1:200 (under 40x lens) heat mediated antigen retrieved with Tris-EDTA buffer(pH9). Adiponectin (AdipoQ), an adipocyte-derived hormone, is one of the most abundant adipokines in the blood circulation. Adiponectin modulates a number of metabolic processes, including improving insulin sensitivity and anti-inflammatory activity. The role of AdipoQ in reproduction is not yet fully understood, but the expression of AdipoQ in reproductive tissues has been observed in various animals and humans, including chicken testis, bovine ovary, and human placenta. Adiponectin exerts its effects by activating a range of different signaling molecules via binding to two transmembrane AdipoQ receptors, AdipoR1 and AdipoR2. AdipoR1 is expressed primarily in the skeletal muscle, whereas AdipoR2 is predominantly expressed in the liver. AdipoQ May play a role in cell growth, angiogenesis and tissue remodeling by binding and sequestering various growth factors.